Learning to read music really is easier than you think, and with clear explanations of concepts and interactive reviews to support your learning, Essential Music Theory helps you every step of the way. 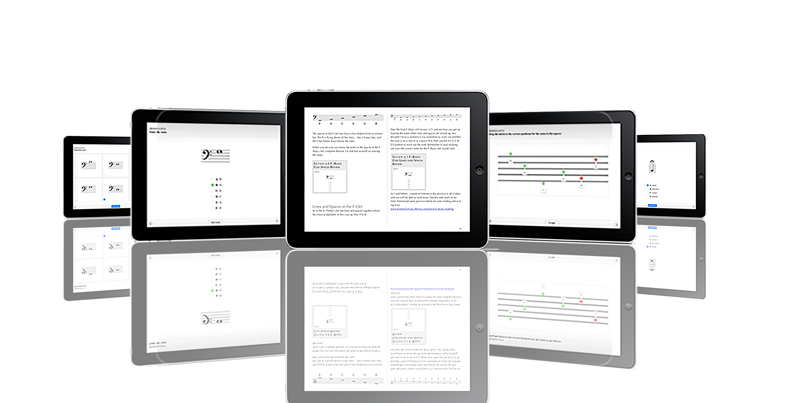 Do you want an easier, more effective method for learning music theory? here’s finally a book available that provides instruction using a variety of learning methods to ensure all learners are able to understand the basics of music theory. 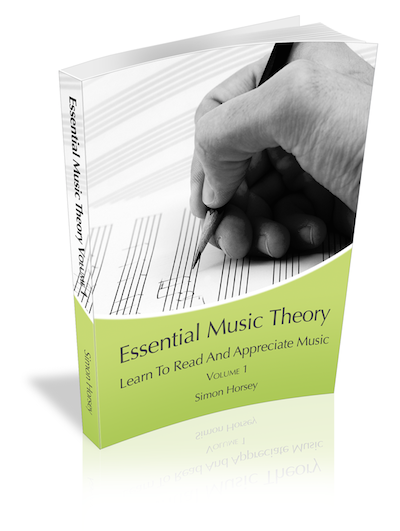 Essential Music Theory: Learn To Read And Appreciate Music, Volume 1, is the premier learning tool for anyone who wants to excel in music. Hello, my name is Simon Horsey, welcome to my website. 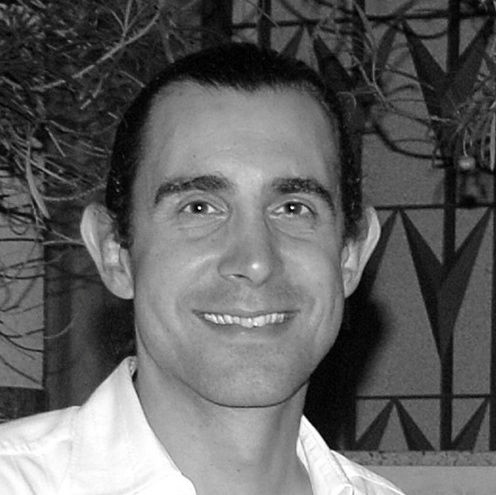 For the past 15 years I have been been teaching music to both class and individual students. I give them a solid grounding in music theory and also show them how to pass their theory exams with flying colors. 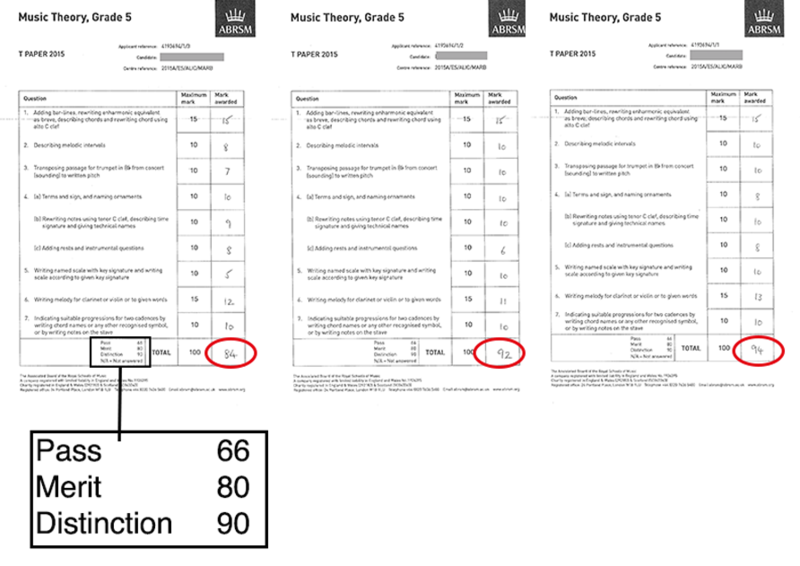 I have a 100% success rate with theory exams and my latest students all passed the Royal Schools of Music (ABRSM) theory exams with Merit or Distinction. I've already worked out the most common stumbling blocks that most people make and now I have created an eBook that teaches music theory just like I do, using actual musical examples that you can listen to which make it much easier for you and teach you how to understand music theory. Volume 1 takes you through the elements of music: how to read music in both G (treble) and F (bass) clefs, teaches you the US and UK note names, basic intervals, how to write major and minor scales, basic composition technique using rhythm, time signatures and performance directions. This book contains everything you need to help you pass your early level theory exams, including ABRSM Grade 1 and 2 theory. Instead of learning facts by rote each concept is clearly explained with musical examples and helpful hints for remembering and applying what you have learned. The book is written in a light, easy to read style and is suitable for class or individual study. There are overview Mindmaps at the start of each chapter and clear learning intentions for each section, as well as many end of unit quizzes built right into the book itself. Yes, you or your students can take a review quiz and have the answers checked with no internet connect needed! READ THESE COMMENTS ABOUT ESSENTIAL MUSIC THEORY. Whether you regret not learning to read music earlier, or you are just starting out in music, a good knowledge of the theory and ideas behind how music is written will improve your playing, no matter what your style. It will also improve your sight reading, improvisation and composition! 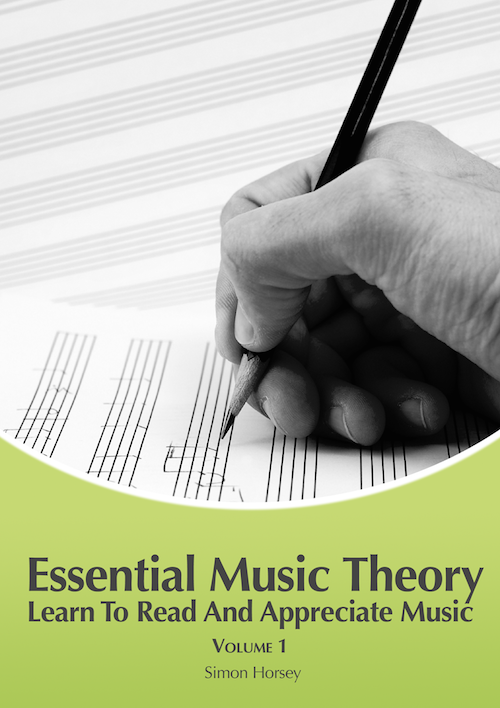 Essential Music Theory is written by a music teacher with over 20 years experience of teaching both children and adults. A good knowledge of the theory and ideas behind how music is written will improve your playing, no matter what your style. A good understanding of theory improves your sight reading, improvisation, composition and your playing in general. Rock Musicians: Want to improve your soloing so you blow everybody else off the stage? Jazz Musicians: If your theory isn't up to speed you are missing huge opportunities to impress others with your chops! Classical Musicians: Understanding theory helps you memorise music faster and more securely, and it even makes your sight reading better! 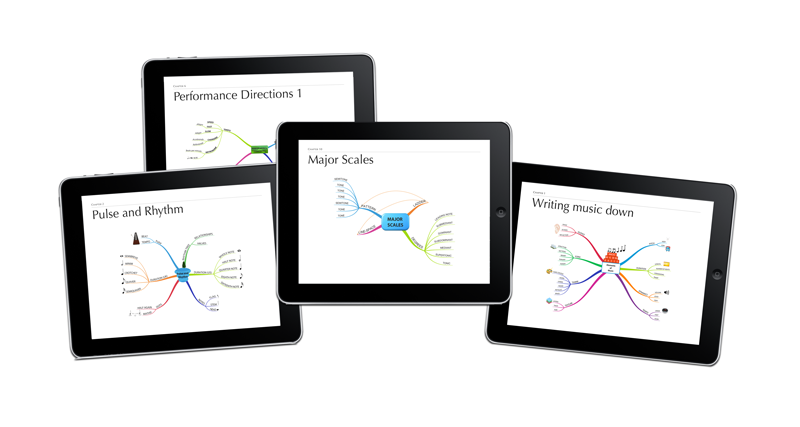 Kids: Get to the top of the music class with easy to understand descriptions and quizzes to check your understanding. Adults: Enjoy everything about music more when you understand the basics of how it is constructed. Teachers: Use this with your class and you have built in differentiation! Each student can work at their own pace and complete the built in reviews at the end of each section. YOU LEARN to read music, both the Treble (G) and Bass (F) clefs using one simple technique which will also mean you can easily read the C clef later on. YOU LEARN about the elements of music. These are the basic building blocks. Understanding them gives you a strong foundation for future understanding of all music theory yet many theory books don't even mention these! YOU LEARN short cuts and tips to help learn and recognise key signatures more easily. Key signatures aren't as hard as some other methods lead you to believe! YOU LEARN both US and UK note names. Why only learn one method when it is so easy to learn both and they are both useful for different things? YOU LEARN how scales are constructed. You don't just learn the notes by rote as in some other methods. You learn a method and once you know this you know how to play almost any major or minor scale! YOU LEARN all the musical terminology you need for ABRSM Grade 1 and 2 theory exams with helpful hints to hook the words in your memory. Did you ever wonder how to remember that pesante means heavy or ponderous? Just remember peasants dancing in hobnailed boots and wondering about the next step! That would be very heavy and ponderous dancing! And one simple trick that will ensure you never forget the key signatures of D, A, E and B majors as long as you live! Here is the table of contents so you can see just how much is included in Volume 1! Remember this takes you right from a total beginner which is why you begin with the Elements Of Music. This is the equivalent of Books 1 and 2 and sometimes even 3 in other courses! Most chapters have a review quiz at the end of them. These are completed in the book with no internet connection required. Some exercises don't lend themselves to electronic completion so these can be completed on manuscript paper (downloadable free from the Essential Music Theory site) and checked the old fashioned way, answers in the back of the book! ...and more on the iBooks Store! 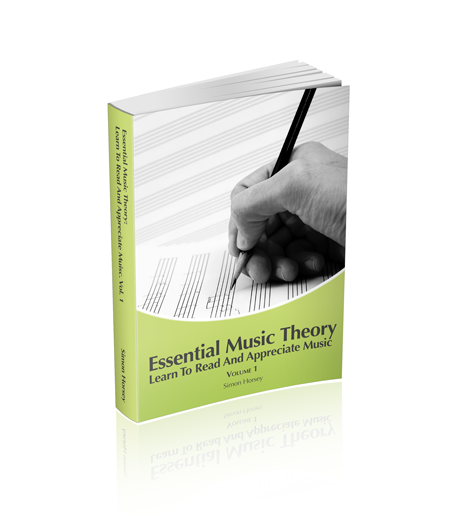 Essential Music Theory Volume 1: Learn To Read An Appreciate Music is currently priced $9.99 in the iBooks Store. This is is less than one single music theory lesson with a teacher! But it won't stay at this price forever! I am currently updating the book with new videos and audio files to make learning music theory even easier! Once I have finished updating the book THE PRICE WILL GO UP. However, once you have bought a book from the iBooks Store Apple GUARANTEES you will have FREE UPDATES FOR THE LIFE OF THE BOOK. This means that if you buy now, you will have all the benefits of the updated book with nothing extra to pay! Click below and ORDER NOW on the iBooks Store. Banish your music theory problems for good! Look at these mark sheets for the Grade 5 Associated Board of the Royal Schools of Music (ABRSM) exams in the UK. These are my students, two of whom only studied theory for 3 months. They all used the methods in my book, so if you want the chance to succeed in music and theory just like they did go to the iBooks Store and order Essential Music Theory Volume 1 NOW!